Steve Ballmer will retire as Microsoft CEO at some point in the next 12 months, the company said on Friday in a surprising announcement that comes weeks after he drafted a major business reorganization that's being implemented now. 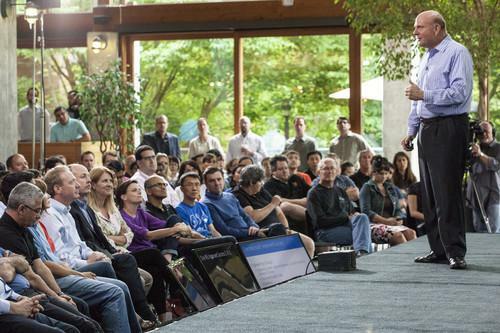 He noted that it is a time of important transformation for Microsoft. "Our new senior leadership team is amazing. The strategy we have generated is first class. Our new organization, which is centered on functions and engineering areas, is right for the opportunities and challenges ahead," Ballmer wrote. "This is an emotional and difficult thing for me to do. I take this step in the best interests of the company I love; it is the thing outside of my family and closest friends that matters to me most," he wrote, adding that Microsoft has "all its best days ahead."